The buses are really nice and roomy, and the seats are comfortable. 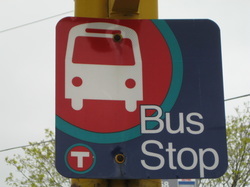 The West 7th neighborhood has many bus routes that run through it- the 54, 63, 70 and 74. Most of them run about every twenty minutes, and they stop at a lot of different attractions and buildings.